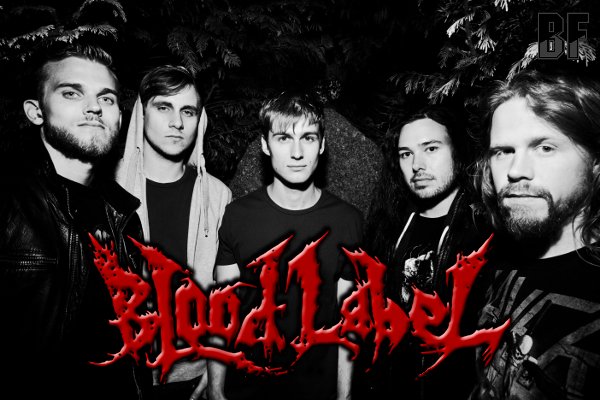 BLOOD LABEL is a young Thrash / Death metal band originating from the center of Jutland, Denmark. The band has played numerous shows in and out of Denmark since its formation in late 2008, and supported such esteemed Danish metal acts as Hatesphere, The Kandidate, Mercenary, The Psyke Project, As We Fight and The Burning. Bone-crushing grooves, ten ton breakdowns and machine gun blastbeats are some of the characteristics of Blood Label. Relying heavily upon catchy vocal hooklines, crunchy riffs and pounding drums, BLOOD LABEL has created a unique hybrid of death and thrash, and fused inspirations from bands such as Hatesphere, Lamb of God and Gojira into one single entity packed with speed, groove and melody. BLOOD LABEL has released the nine track mini-album entitled "Existence Expires" in 2011, and their first full length album "Skeletons" on CD and Digital Download was released worldwide on March 17th 2014 through Mighty Music. BLOOD LABEL is now supporting Hatesphere on their "Brænd I Helvede - Dø I Flammer" (Burn In Hell - Die In Flames) tour in Denmark from March 22nd to April 12th.